My reviews of non-Criterion movies from August. 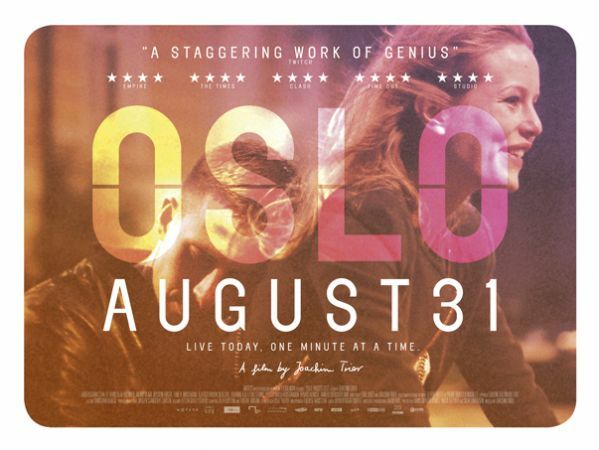 * 2 Days in New York, the new one from Julie Delpy. Really, if I were Chris Rock, I'd have tapped out after 12 hours. * The Bourne Legacy, the underprivileged stepchild of the Bourne series still manages to be enjoyable despite some deficiencies. * The Campaign, the Will Ferrell/Zach Galifianakis comedy is best at insult humor, not so much at political satire. * Celeste and Jesse Forever, an almost-there down-to-earth rom-com, co-written by and starring Rashida Jones. I love her, but the script loses focus and eventually lost me. * Dark Horse, Todd Solondz hates comedy almost as much as he hates you. And fat people. And everyyyyyyyyonnnnne! * Hara-Kiri: Death of a Samurai, Miike remakes Kobayashi in 3D, but without any other added dimension. * The Imposter, a twisted true crime documentary about a story that's so out there, you almost won't believe it. 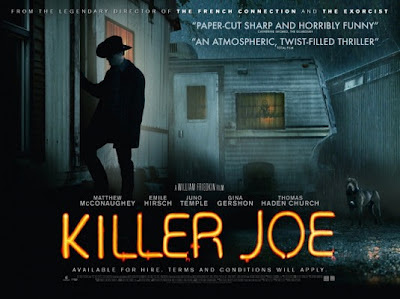 * Killer Joe, a depraved new scorcher from William Friedkin, starring Matthew McConaughey his most finger-lickin' good role. * Lawless, Nick Cave writes, John Hillcoat directs, and Tom Hardy stars. Mm-hmm. * Oslo, August 31, a heartfelt new personal drama from the director of Reprise. * Paranorman, the second effort from Laika suffers from some growing pains. Great animation, but an overly wordy script. * Searching for Sugar Man, an amazing music documentary uncovering the secret history of the artist known as Rodriguez. * Sleepwalk with Me, in which Mike Birbiglia tries to make friends and influence them to understand his problems. * The Devil's Needle, and other Tales of Vice and Redemption, three silent films tackling the worst of Amercia's sins, ca. 1915. * Fernando Di Leo's Madness, starring Joe Dallesandro as a human 2x4. It's neither mad nor is it any good. Discuss. * Looney Tunes Mouse Chronicles: The Chuck Jones Collection, gathering the director's Sniffles and Hubie & Bertie cartoons under one cover. * Misfits: Season One, a clever superpowers show from England. * Monsieur Lazhar, a surprising example of quality feel-good cinema, adding a nice spin to the inspirational teacher genre. * Once Upon a Time in Anatolia, an astonishing remodel of the police drama as existential parable. From Nuri Bilge Ceylan, the director of Climates. Best movie of this whole batch! 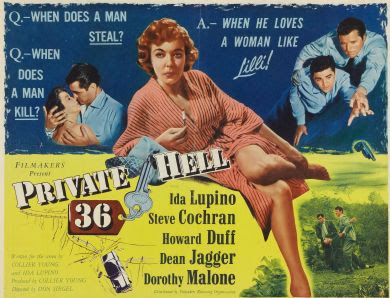 * Private Hell 36, a tightly wound noir with Ida Lupino. Directed by Don Siegel. * Les Vampires, the 1915 silent crime serial from Louis Feuillade.